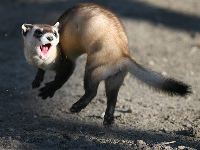 Black-footer Ferrets hunt prairie dogs. The Black-footed Ferret was once considered extinct in the wild, but it has been reestablished in some areas. 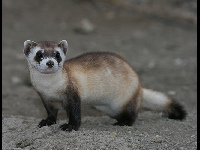 Black-footed Ferrets live in the central part of the United States.